Although we specialize in weddings, please remember we do almost anything related to music! A large portion of our business comes from corporate functions, corporate Christmas parties, and private parties! We are one of the most well known company party DJ companies in Houston. 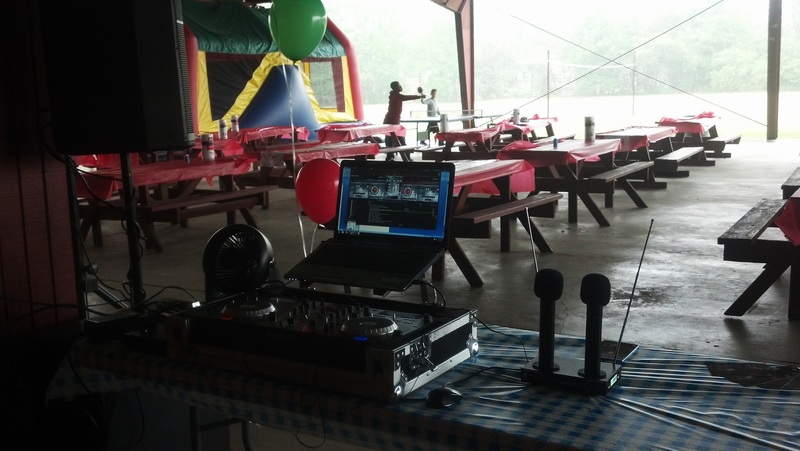 In the photo below, DJ Forrest has just finished setting up for an outdoor event at Regal Ranch in Stafford, TX for the great employees of Chevron. This Louisiana themed, family friendly event features tons of crawfish, loads of fun, and lots of Zydeco music. Contact us today for your event!